Statistics is the scientific application of mathematical principles to the collection, analysis, and presentation of numerical data. Statisticians apply their mathematical and statistical knowledge to the design of surveys and experiments; the collection, processing, and analysis of data; and the interpretation of the experiment and survey results. Opinion polls, statements of accuracy on scales and other measuring devices, and information about average earnings in an occupation are all usually the work of statisticians. Statisticians may benefit from a strong background in computer science. Many different areas are useful for statisticians depending on their desired job outcome. For example, studies of chemistry, biology, or health science can be helpful for testing products. A major in applied mathematics is also useful for a statistician. Statistics is the scientific application of mathematical principles to the collection, analysis, and presentation of numerical data. Statisticians apply their mathematical and statistical knowledge to the design of surveys and experiments; the collection, processing, and analysis of data; and the interpretation of the experiment and survey results. About 20 percent of jobs are in the Federal Government, where statisticians are concentrated in the Departments of Commerce, Agriculture, and Health and Human Services. Another 10 percent are found in State and local governments, including State colleges and universities. Most of the remaining jobs are in private industry, especially in scientific research and development services, insurance carriers, and pharmaceutical and medicine manufacturing. An interesting job for statistican is in the field of sports statistics. These statisticians work for professional sports teams and study and analyze team strategy. In the realm of baseball, statisticians not only analyze basic data such as hits, walks, and runs, but also where on the field the ball was hit and the path of the pitch to the plate. 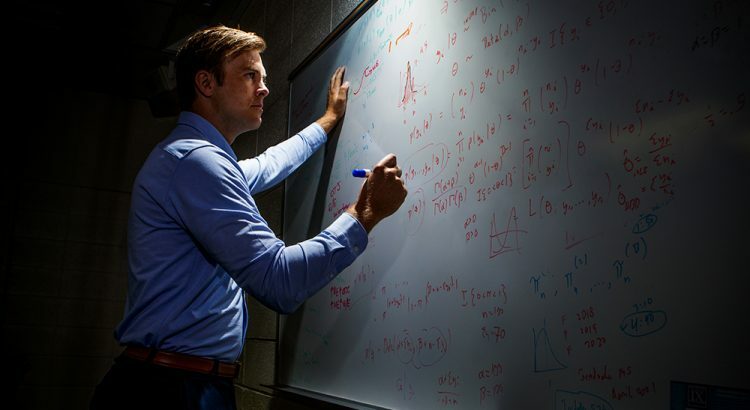 Sports statisticians must be able to understand their sport’s unique characteristics and employ statistics on marketing and merchandising.